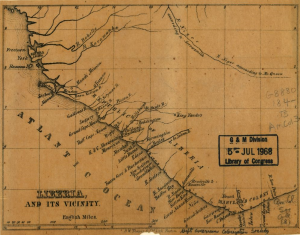 The settlement of African Americans in Liberia—shown here in an 1850s map—triggered a series of events that continued, in some cases, into the twenty-first century. Immediately, the settlers were exposed to malaria ("African fever"), claiming the lives of a huge segment of the settler population in the 1820s. News of these deaths added fuel to arguments against colonization. In the first years of settlement, sharp conflicts between the Americo-Liberians and local groups ignited a series of hostilities that continued into the late twentieth century (although with the passage of time the various groups had so mingled that identities as "settler" or "native" became largely customary). Ostensibly dedicated to the suppression of the slave trade, the Americo-Liberians engaged in trading African-produced goods that were often produced and transported by inland slaves. As late as 1930, the League of Nations condemned a number of Liberian government officials for providing slaves for rubber plantations owned by Firestone, an American company. The creation of Liberia also initiated a process of ecological degradation. The first Americo-Liberians cleared land for agriculture and for access to tropical woods. Some of the agricultural products and virtually all the valuable hardwood were shipped to the United States. With markets for goods like palm oil (derived from the seed of the palm tree), deforestation led to loss of habitat for plants and animals as agriculture expanded. The intrusion of humans into newly cleared areas was one factor in the twenty-first century spread of the Ebola virus, previously endemic but almost completely limited to the wild animal population. To help the transportation of free African Americans across the Atlantic to settlements in Liberia, organizations like the Pennsylvania Colonization Society drummed up financial support through memberships. Founded in 1828 and incorporated in 1830, the Pennsylvania Colonization Society paid for transportation of free African Americans to Liberia, offered financial support to settlements in Liberia, and assisted in freeing some slaves by purchasing manumissions. If individuals donated enough money to the society in the 1830s, they received this lifetime membership certificate, picturing African Americans landing in the settlement of Monrovia. 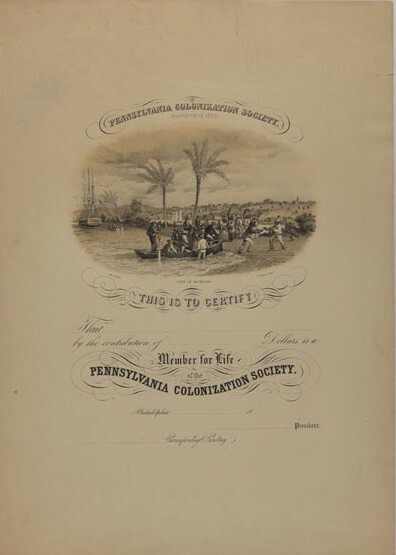 To keep members informed of events surrounding Liberia and the colonization movement, the Pennsylvania Colonization Society published the Colonization Herald and General Register monthly from 1835 to 1865. In 1813, when Pennsylvania legislators proposed a law that would have required all African American migrants to register with the state, established Philadelphia businessman James Forten argued against the proposal in an anonymously published pamphlet titled Letters From a Man of Color. Forten evoked language from the Declaration of Independence to make his argument, and began the first letter: "We hold this truth to be self-evident, that GOD created all men equal, and is one of the most prominent features of the Declaration of Independence, and in that glorious fabric of collected wisdom, our noble Constitution. This idea embraces the Indian and the European, the Savage and the Saint, the Peruvian and the Laplander, the white Man and the African, and whatever measures are adopted subversive of this inestimable privilege, are in direct violation of the letter and the spirit of our constitution, and become subject to the animadversion of all, particularly those who are deeply interested in the measure..."
Forten was born to a free African American family in Philadelphia in 1766. Foten's father had a successful career working at Robert Bridges' sail loft and Forten worked beside his father by the age of eight. Forten continued working for Bridges after his fathers death, and only left his position to serve briefly as a privateer during the War of Independence in 1780 and then as an apprentice in a London shipyard for seven months. Forten returned to Philadelphia as Bridges' apprentice and yard foreman. Forten was able to design a series of popular sails that increased the speed and maneuverability of ships. When Bridges retired in 1798, Forten took control of the business and was able to retain Bridges' customer base. Over the next forty years, Forten earned a substantial amount of wealth, some of which he used to fight for the social freedoms of African Americans. 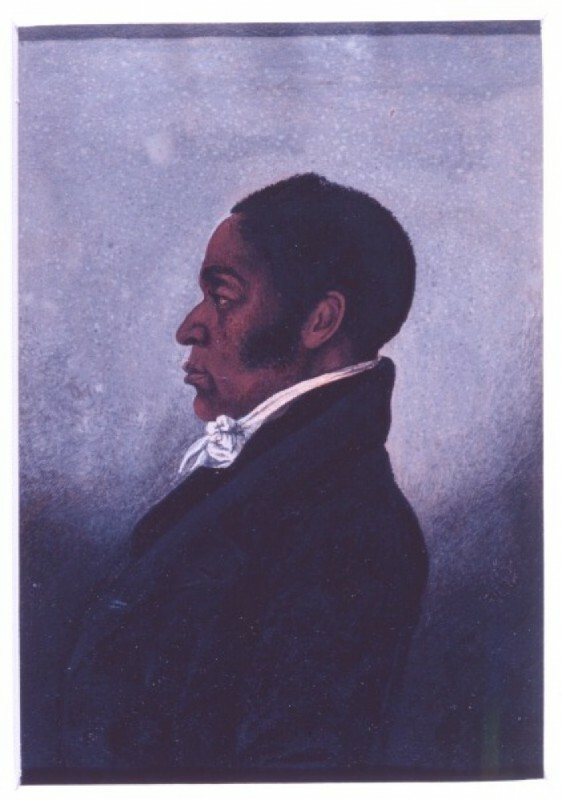 Following his Letters From a Man of Color, in 1817, Forten joined with Richard Allen to organize the Convention of Color to support a settlement in Canada for fugitive slaves. Forten and Allen generally believed that freed or fugitive slaves should not be relocated away from the North American continent and frequently allied together against the American Colonization Society (which argued that freed blacks would have greater freedom if they were sent to Africa). In 1831 when William Lloyd Garrison began The Liberator, a weekly newspaper that focused on information about abolitionist initiatives around the United States, Forten wrote editorials and offered financial assistance to keep the paper in circulation. By his death in 1842, Forten had helped make Philadelphia a center for abolitionism. 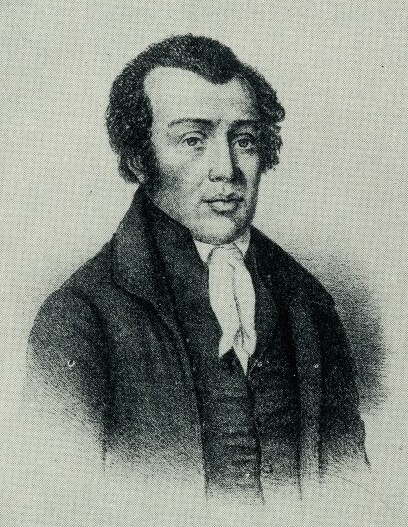 Richard Allen, born in Philadelphia as a slave in 1760, used his role as a Methodist religious leader to support abolitionism and assist the swelling African American community in Philadelphia from the 1780s through the1830s. Although born in Philadelphia, Allen and the rest of his family were sold to a Delaware plantation owner in the 1760s. While in Delaware, Allen began to attend weekly Methodist Society meetings, and later became a Methodist preacher after he was able to purchase his freedom. The Methodist preaching circuit allowed him to attend Methodist meetings throughout Delaware, Maryland, New Jersey, and Pennsylvania. After preaching in Philadelphia numerous times, Allen accepted an offer in 1786 to be a weekly speaker at St. George's Methodist Episcopal Church in Philadelphia. Although St. George's was primarily a white church, it had services for the steadily growing African American audience. Preaching at St. George's Methodist Episcopal Church was difficult for Allen and the growing African American congregation that prayed there weekly. Allen had to conduct his sermons at 5 a.m., so that he did not disrupt the service for the white congregation later in the morning. After multiple incidents of white church members forcing African Americans into segregated seating that did not allow room to kneel to pray, Allen and other local religious leaders began to plan churches specifically for the African American population of Philadelphia. Their first step was to create the Free African Society in 1787 to support the local African American community and help recently freed slaves. The Free African Society offered financial assistance to families and educational services for children or adults seeking employment in Philadelphia. Over the next few years, a number of solely African American churches were built in Philadelphia. Allen was part of a council that purchased and renovated an old blacksmith's shop to become the Bethel African Methodist Episcopal Church (later known as Mother Bethel). He became the first African American Methodist minister in 1799 and the first bishop of the African American Methodist Episcopal Church in 1816. 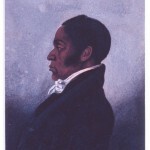 Until his death in 1831, Richard used his ties with his growing congregation and the Free African Society to support the African American community of Philadelphia. The African colonization movement, dedicated to resettling North American free blacks in West Africa, caused heated debates in Philadelphia in the early nineteenth century. Proposals to remove free blacks from North America date from the 1770s, but the heyday of African colonization occurred between 1818 and 1865. Often described as a “return to Africa,” the resettlement plans actually focused on free blacks who had never set foot on African soil. Colonization is better described as a semivoluntary expatriation than as a return to a homeland. White Americans were the most active in promoting colonization, but many blacks desired opportunities outside North America in places that appeared to offer greater self-determination and economic gain. 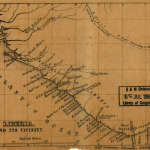 The first colonizationists, black and white, envisioned various territories for expatriates. The West Indies, which after 1776 seemed separate from the mainland to most citizens of the United States, were a possibility. Haiti was the most commonly mentioned island. In West Africa, Sierra Leone, a British colony (first proprietary, then Crown), also seemed a possibility, since its residents included black settlers from England, North America, and Jamaica. 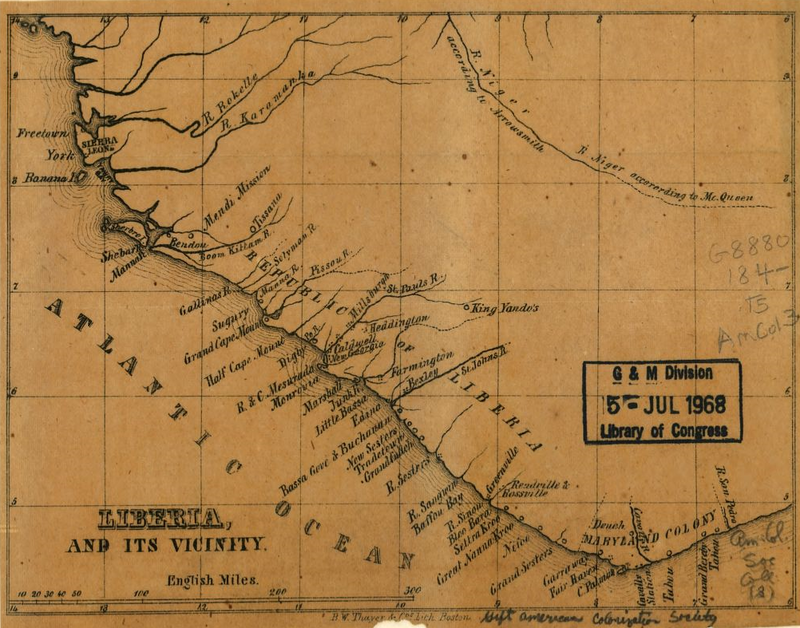 By the early 1820s, American colonizationists focused on Cape Mesurado in Africa, where Monrovia (named for President James Monroe) was established in a territory soon called Liberia (after the Latin word for freedom). Some also proposed removing free blacks to the American western frontier, where they might be distant from white Americans as well as useful as a buffer against Native Americans. Although often considered an American colony, Liberia was a territory initially purchased by American settlers from African chiefs in several transactions in the 1820s with financial support from the American Colonization Society, a national organization founded in Washington, D.C., in 1817. The Americo-Liberian settlement expanded from the coastal town of Monrovia along the banks of the St. Paul and Mesurado Rivers. 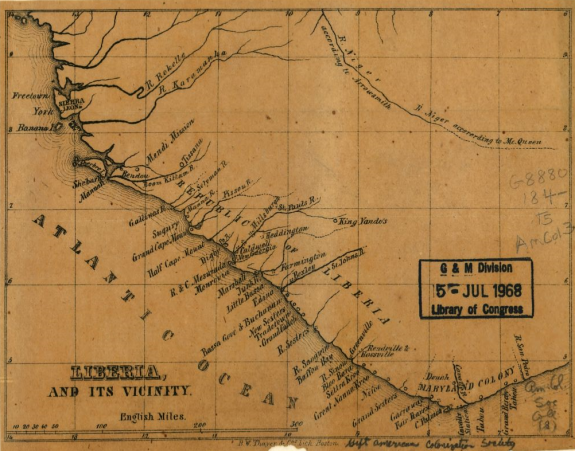 Settlers declared Liberia an independent nation, with its own constitution, in 1847. It was then home to about 3,000 Americo-Liberians, a number sufficient to establish political dominance over native Africans but far fewer than the number of free blacks that colonizationists had hoped to resettle from the United States. In Philadelphia, members of the Pennsylvania Abolition Society discussed colonization in the 1810s as a response to the growing number of freedpeople or runaways coming to Philadelphia from Southern states. At that time, leaders of black Philadelphia including Richard Allen (1760–1831) and James Forten (1766–1842) endorsed colonization. But soon, in Philadelphia and elsewhere, colonizationist sentiment was attacked from several angles. In 1817 a gathering of black Philadelphians at Mother Bethel Church denounced colonization as an insult to African Americans and a forced removal hidden behind a thin veil of voluntary emigration. Allen and Forten modified their earlier views although at times they articulated lukewarm support for colonization. Allen declared: “This land which we have watered with our tears and our blood, is now our mother country, and we are well satisfied to stay where wisdom abounds and the gospel is free.” Similarly, in an 1818 address to white Pennsylvanians, Forten stated the desires of free blacks to remain in their homes and to assist in the abolition of slavery and the improvement of black life in the United States. 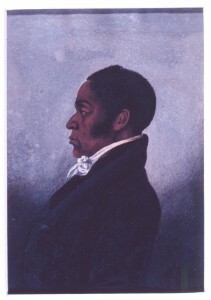 In 1818, the Pennsylvania Abolition Society moved firmly against colonization by noting that most free blacks were committed to remaining in the country of their birth, that progress for free African Americans was most likely to occur in the United States, and that Sierra Leone had failed to thrive, after two decades, as a home for black emigrants from Canada and England. Still, the Pennsylvania Abolition Society expressed belief that resettlement might be salutary in some circumstances. Despite these mixed opinions, the American Colonization Society enjoyed strong support in the Greater Philadelphia region. 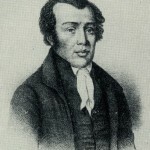 Robert Finley (1772–1817), who led the committee that established the American Colonization Society, was born in Princeton, New Jersey. Like most states beginning in the 1820s, Pennsylvania, New Jersey, Delaware, and Maryland had local colonization societies that identified likely settlers and drummed up financial support for travel and the needs of the Liberian settlements. Often these societies raised funds for the national organization as well. A settlement at Cape Palmas was known as “Maryland in Africa,” then the Republic of Maryland, until it was annexed by Liberia in 1857. Baltimore was a common point of embarkation for emigration to Liberia. Delaware politicians joined with their counterparts in Southern states in the call for colonization. Even after the Pennsylvania Abolition Society condemned African colonization in 1818, Philadelphians were involved in the movement of free blacks to Liberia. Episcopal Bishop William White (1748-1836) became a vice president of the American Colonization Society in 1819. Philadelphia Quaker Roberts Vaux (1786-1836) became a colonizationist in the 1820s, when he decided that a Liberian settlement would help suppress the African slave trade as well as provide a home for victims of the slave trade (known as recaptives) who were seized by the American government, sometimes at sea, from illicit slave-traders. Other Quakers including Joseph Hemphill (1770-1842) and Sarah Moore Grimké (1792-1873) adopted the colonizationist cause. Philadelphia luminaries such as Mathew Carey (1760-1839) and Elliott Cresson (1796-1854) also supported colonization. 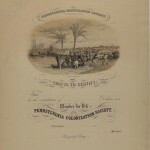 The Pennsylvania Colonization Society formed in 1828 to promote black emigration from Pennsylvania as well as to fund transportation of freedpeople from other states to Liberia. It was followed in 1834 by the Young Men’s Colonization Society of Pennsylvania, which, in cooperation with the national society and the Colonization Society of the City of New-York funded the travel of 126 freed Afro-Virginians from Norfolk to a new settlement in Liberia called Bassa Cove. In 1835 this settlement was attacked by the dominant local slave trader, King Joe. Although the new settlers were routed in the first battle, they were able, with the assistance of the Monrovian settlers, to force King Joe to cede territory to the United Colonization Societies of New-York and Pennsylvania. However, the Young Men’s Colonization Society of Pennsylvania could not maintain itself as a separate organization and was absorbed into the American Colonization Society in 1838. A Philadelphia Ladies’ Liberia School Association formed in 1832 under the leadership of Quaker Beulah Biddle Sansom (1768-1837). The Young Men’s Colonization Society of Pennsylvania had been calling for women to support the work of colonization, and in the early 1830s Philadelphia women began raising money to support schools in Liberia. Such charitable support was part of a larger pattern of women’s benevolence in antebellum America. Missions and schools were considered natural interests of middle-class Christian women. The enthusiasm of the Ladies’ Liberia School Association remained high throughout the 1830s, as its members funded construction of schoolhouses and selected teachers for its schools in Liberia. This enthusiasm declined in the 1840s as the funds raised by the association proved inadequate to maintain the Liberian schools and as the growth of the American Anti-Slavery Society (always opposed to colonization) dimmed the association’s Liberian hopes. Indeed, one of the association’s teachers, Massachusetts-born Ishmael Locke, left Liberia in despair over the state of the schools and ultimately settled in Philadelphia, where he became principal of the Institute for Colored Youth in the 1850s. His grandson, born in Philadelphia, was Alain Leroy Locke (1885-1954), proponent of the arts and thought of the Harlem Renaissance. Some of the early Americo-Liberian settlers were black Philadelphians. By 1822, about fifty-four black Philadelphians had emigrated to Liberia (a tiny number compared to about 10,000 free blacks in Philadelphia, but significant in the settlement). One of the folk heroes of early Liberia was Matilda Newport, a young woman who emigrated from Philadelphia in 1820 around age twenty-five and, according to the legend, stood her ground singlehandedly with a rifle in a battle with local people in 1822. Both black and white residents of the Philadelphia region thus participated in a resettlement effort that would have momentous implications in the modern world. Although colonization’s advocates and its foes expressed mixed sentiments about the resettlement, and Philadelphians’ initiatives were mostly limited to the 1820s and 1830s, the repercussions of colonization both in the United States and in West Africa made it a crucial phase in Philadelphia’s history. Burin, Eric. Slavery and the Peculiar Solution: A History of the American Colonization Society. Gainesville: University of Florida Press, 2008. Campbell, Penelope. Maryland in Africa: The Maryland State Colonization Society, 1831–1857. Chicago: University of Illinois Press, 1971. Hale, Sarah J. Liberia; Or, Mr. Peyton’s Experiments. New York: Harper and Brothers, 1853. Holsoe, Svend E. “Matilda Newport: The Power of a Liberian-Invented Tradition.” Liberian Studies Journal 32:2 (2007): 28–41. McDaniel, Antonio. Swing Low, Sweet Chariot: The Mortality Cost of Colonizing Liberia in the Nineteenth Century. Chicago: University of Chicago Press, 1994. Nash, Gary B. Forging Freedom: The Formation of Philadelphia’s Black Community, 1720-1840. Cambridge, Mass. : Harvard University Press, 1988. Newman, Richard S. Freedom’s Prophet: Bishop Richard Allen, the AME Church, and the Black Founding Fathers. New York: New York University Press, 2008. Seifman, Eli. “The United Colonization Societies of New-York and Pennsylvania and the Establishment of the African Colony of Bassa Cove.” Pennsylvania History 35:1 (January 1968): 23–44. Staudenraus, P.J. The African Colonization Movement, 1816–1865. New York: Columbia University Press, 1961. Younger, Karen Fisher. “Philadelphia’s Ladies’ Liberia School Association and the Rise and Decline of Northern Female Colonization Support.” The Pennsylvania Magazine of History and Biography 134:3 (July 2010): 235–261. “‘Circular addressed to the Colored Brethren and friends’: An Unpublished Essay by Lott Cary, Sent from Liberia to Virginia, 1827.” Edited, with an introduction, by John Saillant. Virginia Magazine of History and Biography 104:4 (Autumn 1996): 481–504. Journal of the House of Representatives of the United States, 1826–1827 Friday, February 16, 1827, Journal of the House of Representatives of the United States, February 16, 1827. 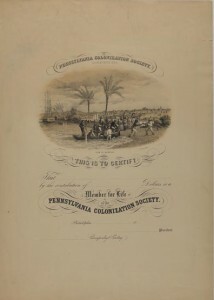 Pennsylvania Colonization Society Constitution, pamphlets, and other publications, Historical Society of Pennsylvania, 1300 Locust Street, Philadelphia. William Parker Foulkes Papers (correspondence related to colonization activities), American Philosophical Society, 105 S. Fifth Street, Philadelphia. Records and photographs of the American Colonization Society, Library of Congress, Washington, D.C.
Maryland State Colonization Society Papers, 1827–1871, Maryland Historical Society, Baltimore, Md.